A rugged, high-performance USB-C battery pack. 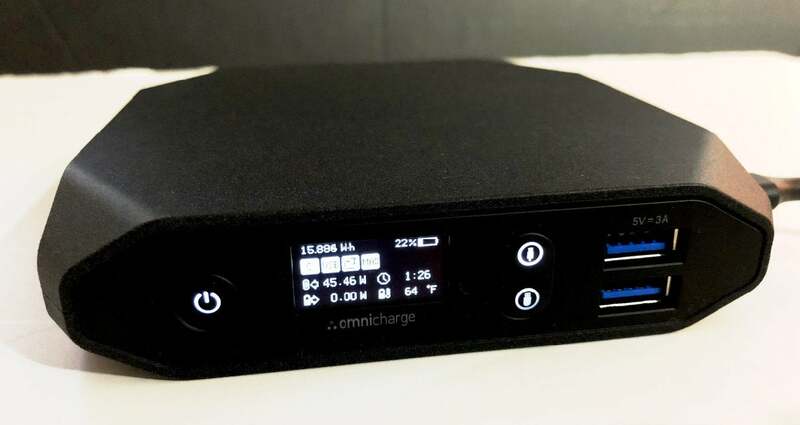 There’s nothing on the market like the Omni 20 USB-C, a sturdy and well-designed charging pack that has a 73 watt-hour (Wh)/20100 millampere-hour (mAh) capacity. Unfortunately, its particular set of features mean it works best for a specific set of users instead of most laptop owners with USB-C charging ports. Its feature list is quite long. The Omni pack has two USB-C and two USB Type-A ports. 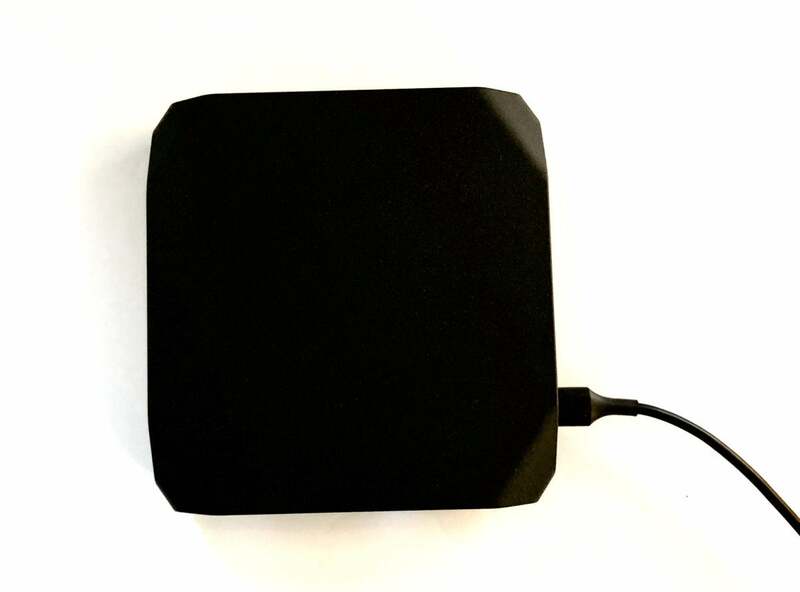 It can output 100 watts total from its two USB-C ports simultaneously (max 60W from each one) via Power Delivery (PD) 2.0 support, and recharge its internal batteries at a maximum of 45W total from either port or both ports at once. It also can push up to 15W from both its Type-A ports and at the same time. That high rate of output from USB-C means it can keep most MacBook Pro models (except the highest-end model) always charging at full speed while they’re in use, as if they were plugged into AC power. And being able to charge two laptops at once at nearly full-speed rates is a bonus not found elsewhere. The Omni 20 USB-C has two USB-C and two Type A charging ports, along with a detailed LCD status screen. The company says the battery recharges in three hours. The math may seem wrong when you take its 73Wh capacity and divide it by 45W, but lithium-ion batteries have to slow down charging as they reach capacity to avoid overcharging. In testing, I confirmed that recharge performance. Remarkably and uniquely, it can recharge over USB-C while also charging another device. Where this battery shines is if you want detailed information about the battery pack’s charging and discharge status, and an estimate of the time left to charge when it’s plugged into power. The LCD screen shows way too much information for most people, but if you’re managing multiple devices and on long trips away from power, you might appreciate knowing exactly how far the battery has charged and other variables. It also wonkishly shows information typically only found on battery monitors, like the current wattage of power going in or out. With a computer or other host connected to USB-C, the battery pack turns into a USB hub, allowing file transfer using the other USB-C port and the two Type-A ports. The Omni 20 USB-C has a ruggedized, nubby case that keeps it resistent to damage and slipping off a table or from your grasp. The Omni 20 USB-C performed very inefficiently compared to our best-in-class PD 2.0 pick, the Anker Powercore+ 26800 PD with 27W PD Portable Charger Bundle. In testing the Omni model with a 2015 MacBook with an almost empty battery, the Omni battery pack transferred about 29Wh at full power in just under two hours. (The macBook can be charged at 30W.) However, according to the Omni’s LCD, it used up about 46Wh of its internal capacity, which is about 65 percent efficient. The Anker model used about 45Wh to charge the same MacBook to its full internal roughly 40Wh capacity, or over 85 percent efficient. When the Omni had fully charged the MacBook, it only had about 25 percent of its internal capacity remaining. That pairs poorly with its relatively low 73Wh capacity. However, the Anker model only has a single USB-C port which maxes out at 30W, and lacks any LCD display. If you only need to charge a single MacBook or MacBook Pro, and capacity is more your concern than recharge speeds, the Anker wins out. However, if you want the higher rates of charging and recharging, an additional USB-C port, or other Omni 20 USB-C-specific features, it’s the right choice. 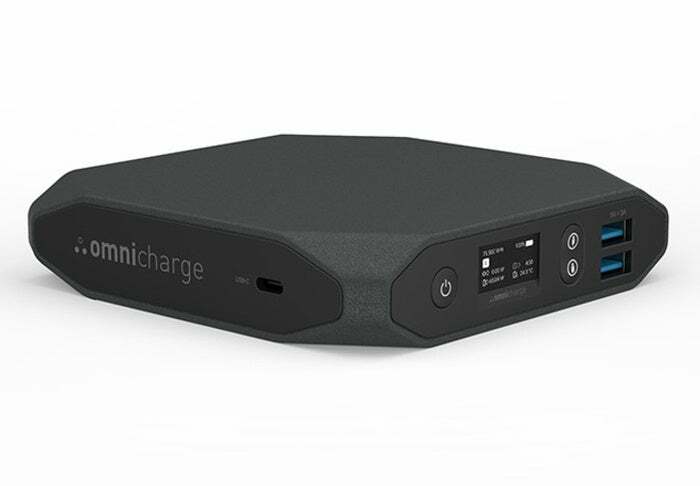 Omnicharge could have a truly winning product with higher-capacity internal battery cells—the individual pieces linked together for a pack—and better power-conversion circuitry. If they brought the battery closer to 100Wh, the maximum allowed for carry-on lithium-ion battery packs, and increased efficiency to 75 percent or higher, it would make it a much better proposition. As it stands, the Omni 20 USB-C’s price per watt-hour compared to competitors along with its low capacity and weak efficiency are drawbacks to an otherwise excellent product. Pick the Omni 20 USB-C without regret if you travel with high-wattage devices, like higher-end MacBook Pros, or want the ability to charge two laptops at the same time quickly to a partial refill, as well as rapidly recharge the battery pack. Editor's note: Article was updated at 10:30 a.m. Pacific to correct links and clarify references to the Omni 20 USB-C.